Albeisa is a non-profit organization whose primary mission is to develop and promote the wine production of the Alba area. The Union of Alba Wine Producers manages the use of the bottle Albeisa, or Alba bottle, and represents approximately 230 members and 13 million bottles. Albeisa will celebrate its first 40 years with a wood with more than 4,000 trees symbol of the attention for the environment that begins from the weight of the bottle. It will plant a tree every 1,000 light containers used in 2012. The Albeisa bottle, that boasts a history dating back to 1700, since 2007 is also produced in a model whose weight is about 30% less than the traditional version. This means a smaller quantity of either energy and raw materials used for producing glass, a remarkable decrease of CO2 emissions, and important reduction in refuse. And the production itself increased from 1.119.174 units in 2007 to 4.266.828 bottles of Albeisa in light version used in 2012. 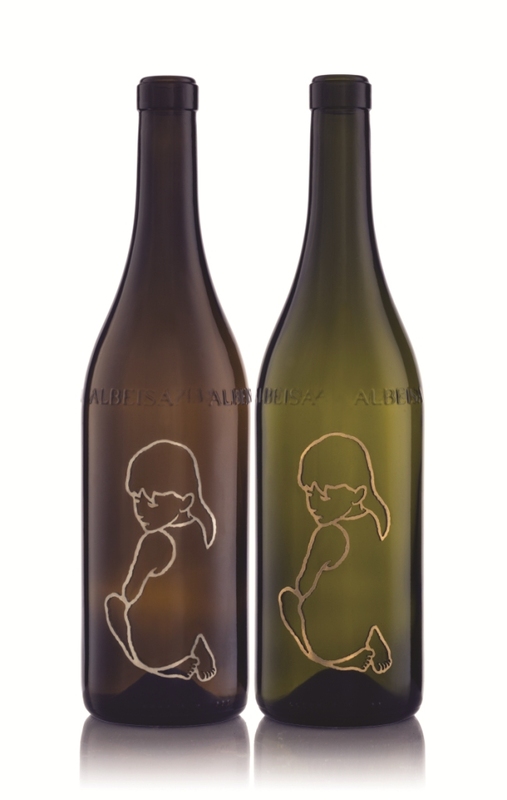 Thanks to Valerio Berruti’s creativity, - a young local artist - a limited set of 350 bottles have been changed in works of art by a metal bas-relief that represents the baby girl’s profile who became a trademark for this artist. These works of art were realized in two versions: 270 in stainless steel, reserved to the affiliates, and 80 in stainless steel gold enameled, that will be presented to the 40 Italian places and 40 international ones that thanks to their works became true ‘Albeisa Ambassadors’ in different countries, including Australia, Austria, Belgium, Brazil, China, Denmark, Finland, France, Germany, Japan, England, Norway, Holland, Poland, USA, Czech Republic, Singapore, and Switzerland.